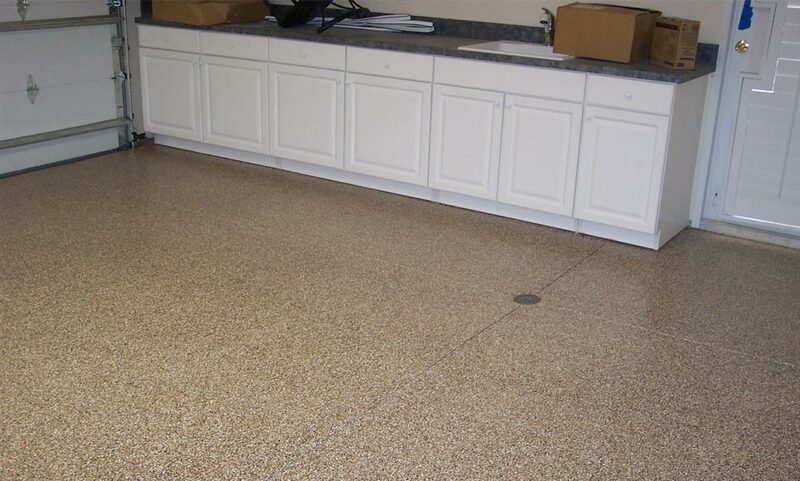 Our Polymer Color Flake Garage Flooring system provides a surface that is safe and durable, easy to clean, and aesthetically appealing. Our system is available in a multitude of colors that compliment any décor. Coastal Coatings & Resurfacing can also re-create a number of logos for car or sports enthusiasts, or for commercial use. 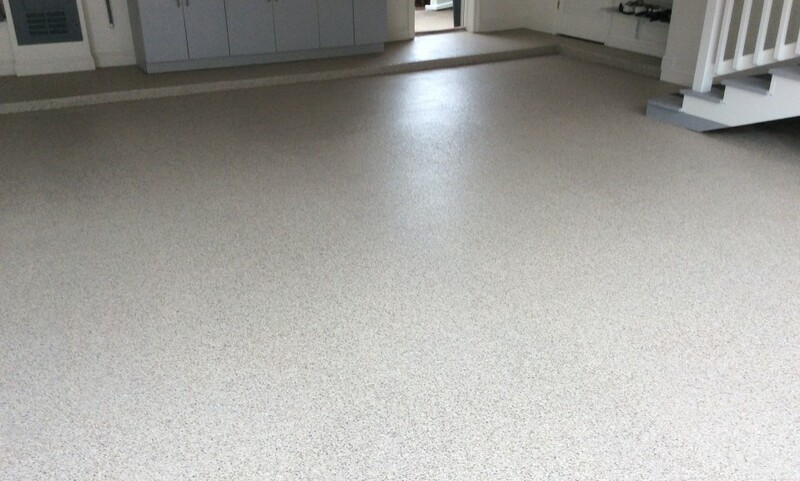 This system is ideal for residential garage floor surfaces, commercial car showrooms, and reception areas. Proper surface preparation is critical. The surface must be free of all contaminates such as dirt, paint, glue or other mastics. Our crew will prepare the surface for its first primer coat using vacuum grinding, pressure washing and/or acid etching. 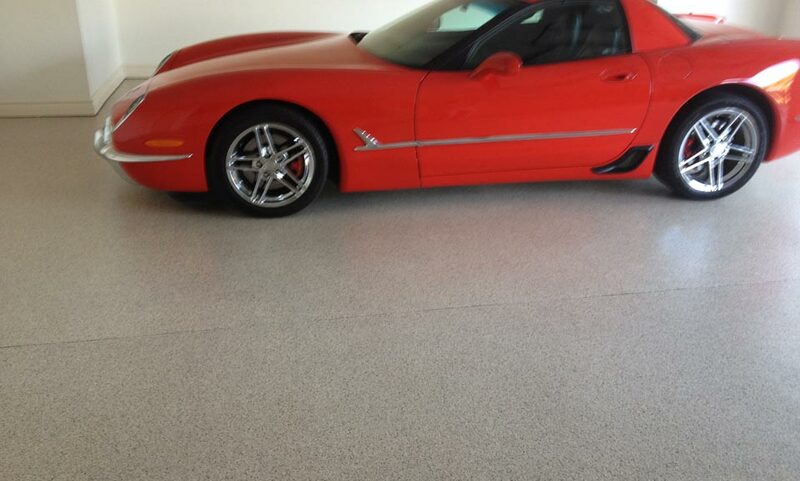 We will then apply a two component, high solids, chemical resistant cured epoxy coating to the cleaned surface. Next, color flakes are broadcast and spread 100% evenly over floor surface. 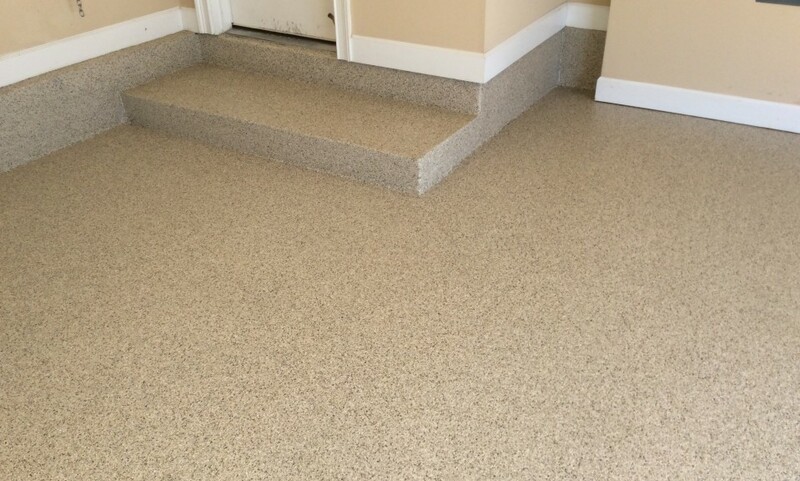 Finally, we apply a top coat of Polyester Polyurethane to bond and seal the surface. Our system produces a durable, high-gloss coating that has extreme abrasion and impact resistance. 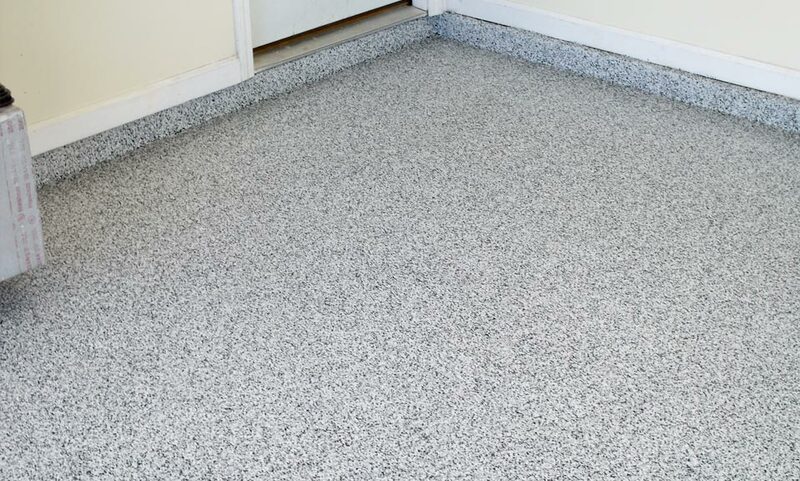 This system is ideal for residential garage floor surfaces, commercial car showrooms, and reception areas. Your work is of the highest quality, and the personal attention you give to me is most appreciated. 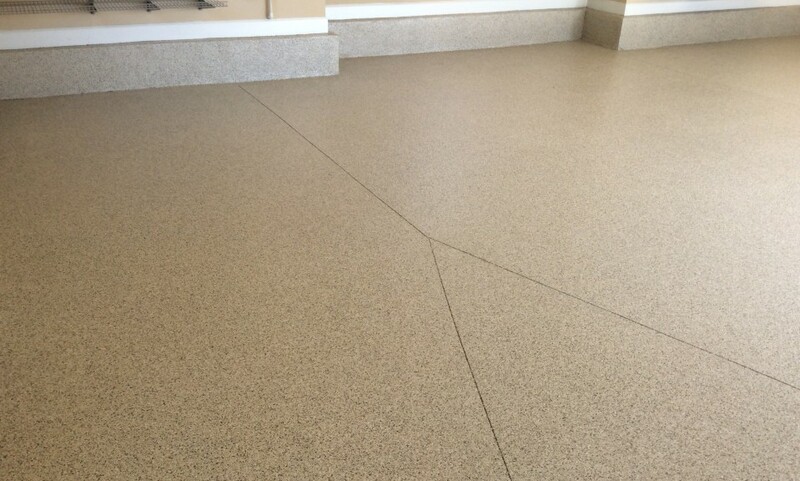 We still get compliments on our patio floor.